Gravure Printing Machine - Shine Kon Enterprise Co., Ltd.
Our gravure printing machine is suitable For multi-color once-through continuous printing for film materials with excellent printing performance. Also, it features computerized and program-digitized designs to ensure precise printing location. Using our gravure printing machine is simple and fast. Shine Kon is a professional manufacturer of whole-plant equipment such as gravure printing machine. Our goal is to provide the most convenient and advanced printing machine to fulfill customers’ requirement. Our printing machine can truely fit in diversified printing materials and production conditions. 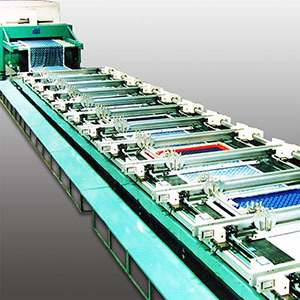 All of our machines are manufactured under strict and precise quality control management; therefore, we are confident to provide you our gravure printing machine with advanced quality. Rapid and stable performance, high-efficiency production. Computerized and program-digitized design assures precise location. Can be set according to diversified printing materials and production conditions. Copyright © 2019 Shine Kon Enterprise Co., Ltd. All rights reserved.